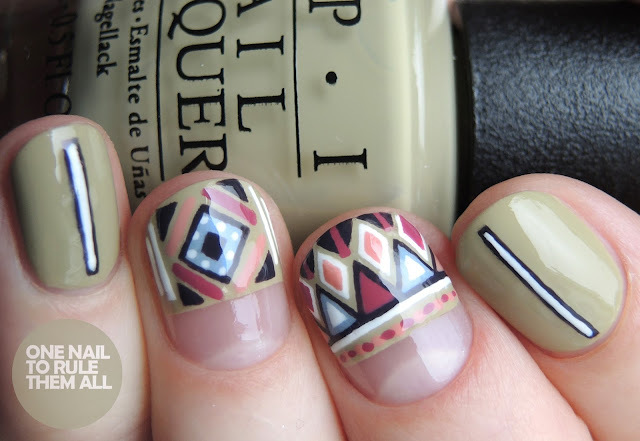 It feels like forever since I last did tribal nails, especially ones that take ages. 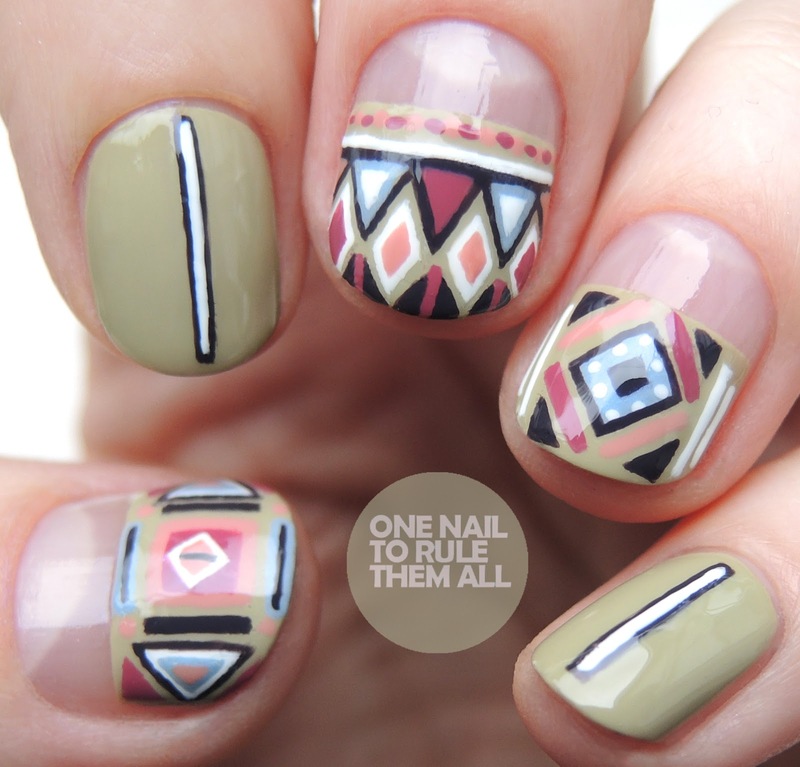 I'm too much of a perfectionist so tribal nails annoy me a lot because I don't quite have the skill to make them look like I want. Nevertheless, I do like them, and I'm pretty happy with how these ones turned out. I didn't have a clue where I was going with this design, I just wanted to have a play around with the OPI - Iceland Collection* so I decided to see where it would go. I did intend to do the design on all my fingers but I really liked the line design on it's own so I left those as accents. I pretty much just used polishes from the OPI - Iceland Collection* except for the white. I knew as soon as the collection landed on my doorstep that I needed to do some nail art with it, and this definitely wont be the last design, there are so many gorgeous polishes in there! I used 2 coats of OPI - This Isn't Greenland* as the base, then I used Check Out The Old Geysirs*, Reykjavik Has All The Best Spots*, Less Is Norse* and I'll Have A Gin and Tectonic* for the details, plus white. 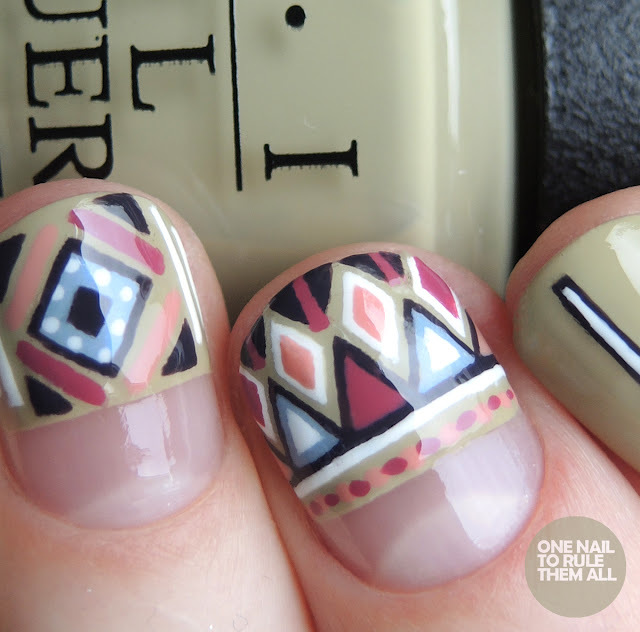 Then I used Seche Vite to seal in the design. I did add a matte topcoat after this but for once I actually preferred them shinier!